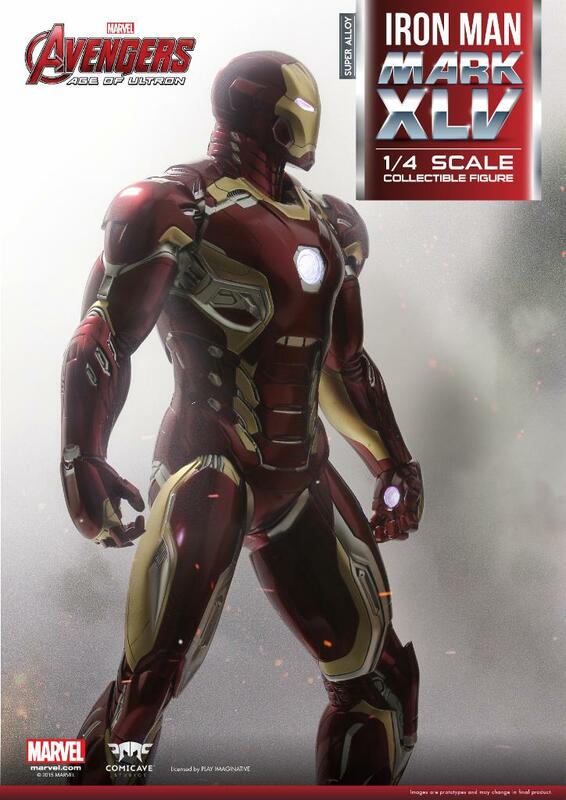 Comicave Studios has posted up a preview photo of a new Avengers: Age of Ultron Figure. 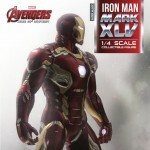 They have revealed their Iron Man Mark 45 1/4 Scale Super Alloy Figure. We’ll have more details when they become available. You can check out that pic by reading on. I'd love to enter, as I've heard that these figures are going to be very good. Alas! I don't use social media.